One in 20 police officers took time off sick last year due to stress, depression, anxiety or post-traumatic stress disorder, PoliceOracle.com can reveal. In the financial year ending March 2015, 6,278 police officers were signed off due to mental health issues - of these, 3,381 officers were taken off duty because of stress. Resourcing is to blame, says the Police Federation of England and Wales. John Murphy, of the association's health and safety sub-committee, paints a picture of a role where officers spend hours alone, with little support, little back up and little job satisfaction. 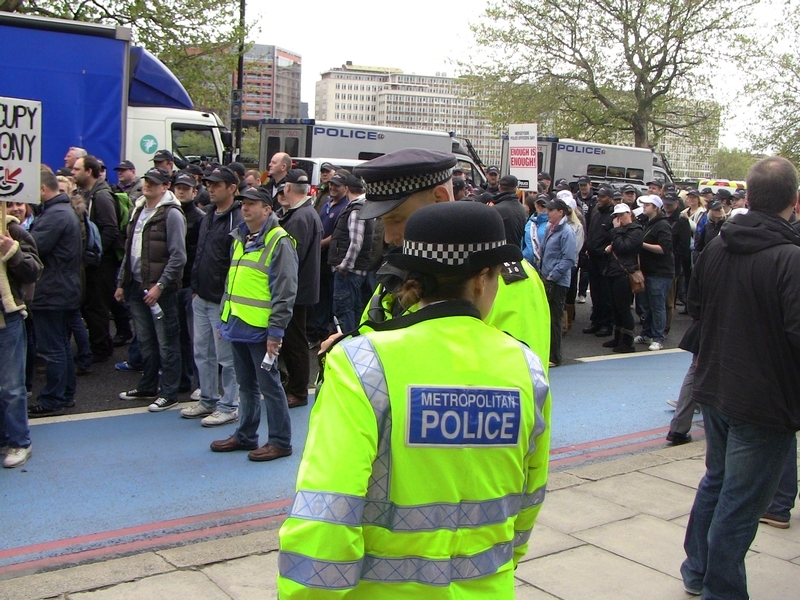 Mr Murphy, a Met officer, said the job has changed: "There are fewer officers doing all the same work. We have the Home Secretary saying yes there are fewer officers but crime is down. But crime figures are not an accurate report of what is going on out there and what officers are doing. It is not all about crime. It is dealing with sudden deaths, negotiating with people in crisis, welfare checks and so on. "A lot of stress comes from the constant workload. People are going from call to call-to-call. There is a lack of service that officers feel they are giving because they don’t have time. Reducing the number of officers means there are fewer people to do that work." The 6,278 police officers who took time off for stress, depression, anxiety or post-traumatic stress disorder in 2014/15 represents an increase from the previous year - when 5,460 officers took time off sick in the same forces. However, no data is available from 2013/14 for five forces: Gloucestershire, Humberside, South Wales, Suffolk and West Yorkshire. Twenty three forces reported an increase in the number of officers signed off in 2014/15 - including the PSNI, BTP, Essex, Merseyside and West Midlands. City of London, Dorset, Greater Manchester Police and Police Scotland have not responded to the request. Derbyshire Police would not release the information and Devon and Cornwall were not able to return the information in a comparable format. Emergency workers are far more likely to suffer from mental illness than those in other professions, according to the mental health charity Mind, and they are even less likely to get support. Deputy Chief Constable Andy Rhodes, the National Police Chiefs' Council’s lead on wellbeing and engagement, said: "Undoubtedly all the issues of reducing numbers and occupational health department cuts are relevant to those suffering. "Stress is a health epidemic of the 21st century and we must react quickly to help our officers and staff through tough times. We know from a range of surveys and research that, on top of what can be by its very nature a stressful job, the levels of uncertainty and change within the service are increasing stress levels. "The national wellbeing and engagement working group is looking to develop a national approach, beginning with a public health responsibility deal that the service is signing up to in partnership with the Department of Health. "This will commit forces to address workplace psychological health issues. In support we are running 'getting started' events to promote this approach, as well as creating an evidence base of what works in tackling this issue - such as resilience training programmes." Mr Murphy explained how he received a call last month from an officer to let him know he was leaving the job. "He said he couldn’t face doing another 20 years with the way things are. He said he was going to get a different career. He was disillusioned - that it wasn’t the career he had thought it would be. He said he didn’t get any job satisfaction. That is really sad." Mind’s Blue Light Infoline offers confidential, independent and practical support and advice on mental health and wellbeing for police officers and staff - as well as their families. It provides advice and advocacy about specific issues, as well as ideas for staying mentally healthy for work and medication and alternative treatments. Another support line has just been set up for officers who may find themselves in crisis due to death or serious injury incidents, suspension from duty or as a result of medical or personal reasons. The Welfare Support Programme is being led by the Police Firearms Association and the national federation’s Richie Jones. It is available to subscribing members of the federation who have been involved in a death or serious injury incident at work that results in post-incident investigation and to officers who are suspended from duty. In a statement Mike Penning, Police Minister, said: “Policing, by its very nature, is a stressful and demanding job and it is the responsibility of chief officers — with help from the College of Policing – to ensure that police officers and staff are supported in their work. “This government is doing all it can to make it easier for the police to do their job. We have cut red tape and unnecessary targets to free up police time, given officers discretion to use their professional judgement and are working across government to stop the police having to pick up the pieces when other public services are not available. Mind Blue Light Infoline: 0300 303 5999. To access the Welfare Support Programme first contact a local Fed branch board or email: stuart@pfoa.co.uk.